The revolutionary new design of the Brew Express blends style, performance and convenience into an easy-to-use appliance that makes brewing coffee and hot beverages a pleasure instead of a burden. And because the Brew Express installs into the wall and hooks directly to your water supply, it also fits right into your life. 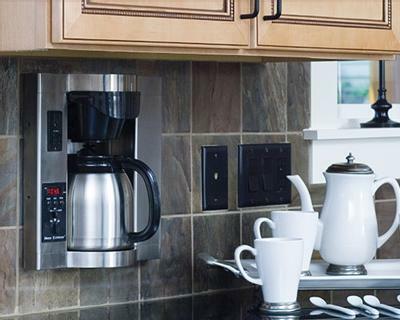 You’ll gain counter space and enjoy perfectly brewed coffee. All without spilling a drop of water. I installed the Brew Express in my new kitchen and I cannot believe the number of compliments I have received. It’s a wonderful product that I highly recommend!